Create your contemporary home with a divided light iron door. Impress your guests with a clean and impressive finish and sections of light peeking through your glass. 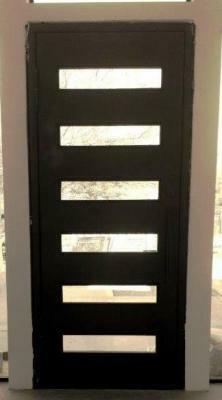 This door we built for one of our local Phoenix Arizona families. 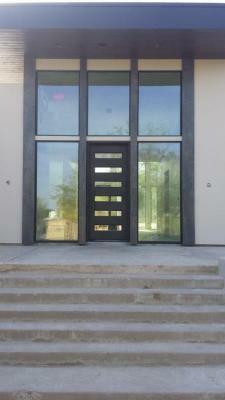 With their impressive side lights and transom, their iron door fits right in with their new contemporary home. Our technicians hand forge and cut all your iron. We insure your families comforts with all the in exclusive features we provide with our iron doors. Call us and come visit our showroom in Phoenix Arizona to meet with a sales representative and find out your contemporary iron door possibilities.